The title of this book is a misnomer? With law and lawyers how can peace ever prevail…and more importantly how can lawyers live in a world of peace. I am reminded of the work “Utopia” wherein it is remarked that there are no lawyers in Utopia…for lawyers are persons who take advantage of misfortune- and Utopia is the perfect society, the only society were law and peace prevails. 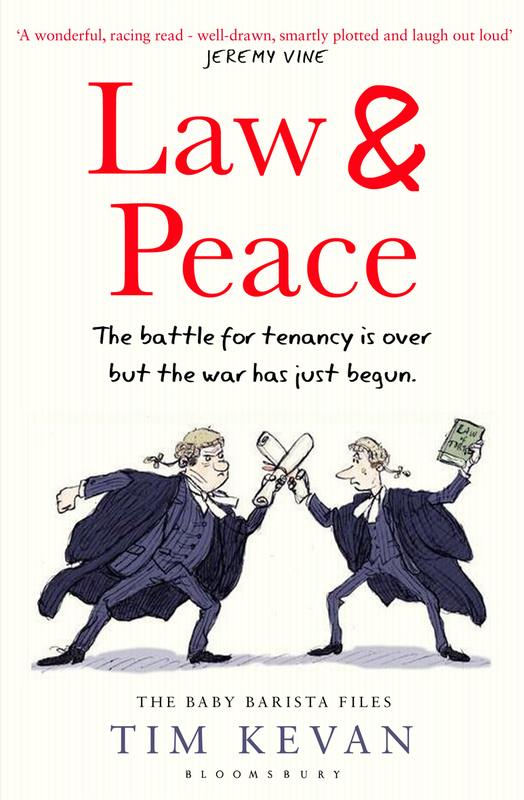 Having read “Law and Disorder” a couple of years back, I knew that the author Tim Kevan has the stuff in him to give you a punch…but what “Law and Peace” provides is not merely a punch, but a real kick that will knock you over. BabyBarista the protagonist whom we first met in “Law and Disorder” has learned the hard tricks of the trade…lying, cheating and all other underhand dealings to become a good lawyer. But BabyB is deep in financial trouble. He has to get out quick- come clean and save his neck…otherwise everything would be downhill. So does BabyB deal with it? Like a good lawyer he engages in shifty deals, blackmail and some share dealing techniques the types of which one might not even have heard in Wall Street. What follows is a hilariously funny read which satires the legal profession to its maximum. Not since the days of A. P. Herbert and Laurance Polak has the humorous side of law been so much explored. The demise of John Mortimer a couple of years back left a void in pure legal fiction….and now that vacuum has been filled. Welcome Tim Kevan, the John Mortimer of the 21st century.